The London Palladium is considered to be the most famous theatre in the capital city and perhaps even in the United Kingdom, due to its musical variety shows that were televised in the 1950s and 60s and the host of famous celebrities that have performed on the theatre’s stage over the years. It was built by Walter Gibbons in 1910, making the theatre over a century old, and was named ‘The Palladium’ until 1934 when the ‘London’ was added to the official title of the venue. In its early beginnings the theatre was used as a circus, an ice rink and a cinema, but after the Second World War ended in 1945, Val Parnell became managing director of the theatre and successfully placed many big stars from the United States on the famous London stage such as Frank Sinatra and Ella Fitzgerald, much to the annoyance of the British stars of the time. For twelve years from 1955, the theatre hosted the extremely popular ‘Sunday Night at the London Palladium’ which was aired on ITV for a very successful run. The show was revived in the late 1980s under the new name of ‘Live from the Palladium’. 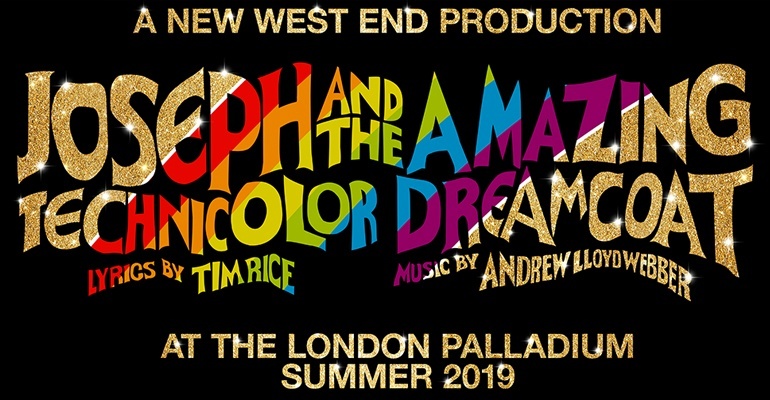 In the year 2000, the theatre was bought by Andrew Lloyd Webber and his Really Useful Group, now named LW Theatres, which has seen many popular and important stage musicals grace the stage such as The King and I, The Sound of Music and Sister Act the Musical. In 2002 the famous stage revolve was updated to facilitate the new production of Chitty Chitty Bang Bang, the musical which broke all records at the venue for being the longest running show at over 1,400 performances. The London Palladium was home to a new musical production of The Wizard of Oz, based on the classic tale of a girl swept away to a magical land by a tornado, and featuring songs we all know and love from the 1939 MGM film adaptation, including ‘Somewhere Over the Rainbow’. The show ran from March 2011 to September 2012. On Boxing Day 2010 the venue celebrated its centenary and hosted a number of gala concerts featuring many famous faces who have performed there over the years. In 2011 the venue was refurbished with new box office facilities and space for audience members to enjoy a drink at one of the many bars. The bathrooms were renovated to add to the comfort for guests before and after the show. Bars: There are four bar areas in the theatre including the new Val Parnell suite, the Variety Bar (Stalls), the Cinderella Bar (Royal Circle) and the Long Bar (Upper Circle). Toilets: The London Palladium has toilets for all sexes on every level. There are two female and one male toilet blocks in the Stalls, a range of toilets in the Val Parnell suit, female toilets inside and outside the Royal Circle as well as male toilets near the bar and the Upper Circle has a block of male and female toilets as well as individual cubicles closer to the seating. Access: The Stalls is an access friendly area, with accessible seats found in Stalls L46, Stalls O48, Stalls Q48 and Stalls S49. Booster Seats: A limited supply of booster seats for children smaller than 4 feet are available in the Stalls only, but not in the upper sections. Cloakroom: There is a cloakroom in the Royal Circle and Stalls entrance.